Robert Scoble has taped an interesting interview with Michael Kaplan, who’s the technical lead in charge of the globalization of the upcoming Windows Vista OS. If you’ve got a half hour to spare, it’s worth a watch. It gets a bit techie at times but there are some grest nuggets of wisdom for anyone involved in software or Web globalization. -> Vista is being localized into roughly 100 languages (some partially) — this is, as I understand, about twice the number of languages that were supported by Windows XP. By the way, this blows away the number of languages support by Mac. -> Microsoft is “opening it up” and “getting out of the way” — which means that they know that they won’t be able to localize Windows into a thousand languages anytime soon, so they are working to create the tools to allow folks around the world to customize Windows to their languages and cultures. I’m glad to see Microsoft doing this — Michael introduced a nifty keyboard tool that you can use to create your own keyboard layouts. Very nice. -> Vista will support roughly 200 locales. This is a big increase from XP. A locale includes such elements as language, date format, currency format, etc. -> “You can’t know everything” — is Michael’s advice to other world-be internationalization engineers. So true. This is one thing I really love about this field — there are just too many languages and cultural nuances for anyone to know it all. It means that we’re always learning something new and that teamwork is essential to success. -> Get to know Unicode. 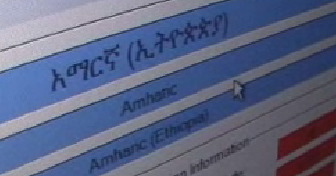 Unicode came up several times during the interview. Microsoft was an early promoter of Unicode and Unicode truly has revolutionized global software development. The last remaining non-Unicode area on the Internet is the DNS — which engineers are grappling with as we speak. Anyway, it’s a great interview. Check it out.